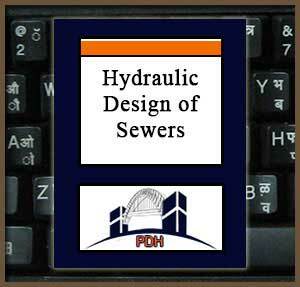 This course will introduce you to the principles of hydraulic design of sanitary sewers. You will learn how to calculate quantities of wastewater, the approach to design of gravity and depressed sewers, required pumping capacity, hydrogen sulfide gas control, and sewer system features such as manholes, building connections, cleanouts, and pumping stations and equipment. This is an introductory course for engineers and construction professionals looking for the fundamentals that can be the foundation for further learning about design of sewer systems. This course will give civil engineers and others an introduction to the terminology, fundamentals and methodologies for the hydraulic design of sanitary sewer systems. Learn how to evaluate the contributing population for the sewer system. Learn about Average Daily Flow, Average Hourly Flowrate, Peak Diurnal Flowrate, and Extreme Peak Flowrate. Learn how to calculate extreme peak flowrates from average flowrates. Learn how to accommodate groundwater infiltration into the sewer system when designing the sewer system. Learn how the Manning formula is used in design of gravity sewers. Learn about acceptable values for the roughness coefficient in the Manning formula.